Understanding your eating - Coming soon to Bristol on Tuesday evenings! The Understanding Your Eating Programme is designed for people who are aware that their over-eating is driven by emotions rather than hunger. Out of control with food? The programme does not offer dieting, exercise advice, or products. It is based on the assumption that the vast majority of those who are overweight, or suffer from disordered eating, know what it is that they should be doing. The problem lies in doing it, and in continuing to do it in the future. The conclusion is that very many of us are soothing ourselves with food on a daily basis. Our culture provides us with more food than we know what to do with, and we have found out how to use it to comfort ourselves. Unfortunately that ‘comfort’ turns out not to be so comforting after all, if we use it too much. We can put on too much weight, which creates problems, both physical, and in terms of self-esteem. The Understanding your Eating Programme is based on current research. It aims to help you think about how you use food, so that you can be better placed to choose how you use food in the future. You will learn to have much better ways of managing your feelings, and will be less tempted to use food to comfort yourself. You will become more confident, with better self-esteem and a better body image. You will find that food becomes much less of an anxiety and no longer dominates your thinking. 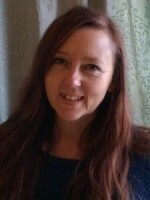 Shelley Treacher is a licensed practitioner of the Understanding your Eating programme, developed by Julia Buckroyd. Register your interest with me. Tuesday evening group starting soon! Shelley Treacher is a skilled and qualified Psychotherapist, working in private practice in Bristol.